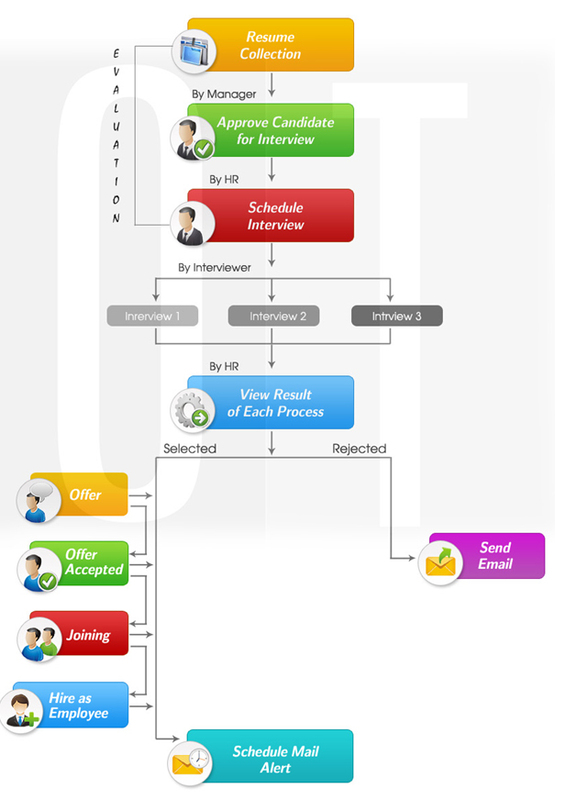 Web-based automated system for Recruitment process. It helps your recruiters and recruitment Managers to easily manage the candidate resumes, posts jobs to various sources, shortlist eligible candidates, manage candidate Interviews and send offer letters. Admin can define all the recruitment process that the organization follows to recruit the candidate. And create a pre-defined template form of questions; that needs to be asked or to be considered while taking the subsequent interviews. Admin/Department Manager/HR can raise the application of recruitment with required details. Admin/HR can analyse the application and post it on website. Selected interviewers will receive alert and can give rating according to the performance of candidate on interview day from their respective logins. Unique job code for each job posted will be created. Tracking the status of job viz. number of resumes/applicants for corresponding job and number candidates short listed for each. The job which has been posted will be visible on website from the decided starting date to job closing date. If company wants to consider walk – in applicants or has allocated posting requirements to any consultancy then, in order to add such candidates to the system ,just import them from an excel format. Heart of recruitment module contains all resume data for each job application and status of all candidate those who applied or those have been rejected in any process for future references. 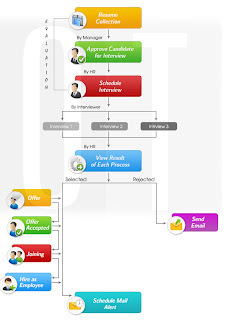 Resumes can be filtered according to the requirements with advance filter options. HR/Admin can directly shortlist the candidate/s and call them for interview. Candidates will be given notification via email or SMS. Status of each candidate who has been short listed for interview will be shown along with the rating given by the interviewer/s for each process. The remuneration and employment details of those candidate/s who have successfully completed the all the recruitment process will be decided. After all employment details are done candidate can be finalized to be added as employee in the system.